Shaw’s Darwin Transport specialise in interstate refrigerated transport services between Darwin, Sydney, Perth & Brisbane. Do you need to ship temperature sensitive perishable goods such as fresh produce, seafood, packaged meat, dairy or confectionery? 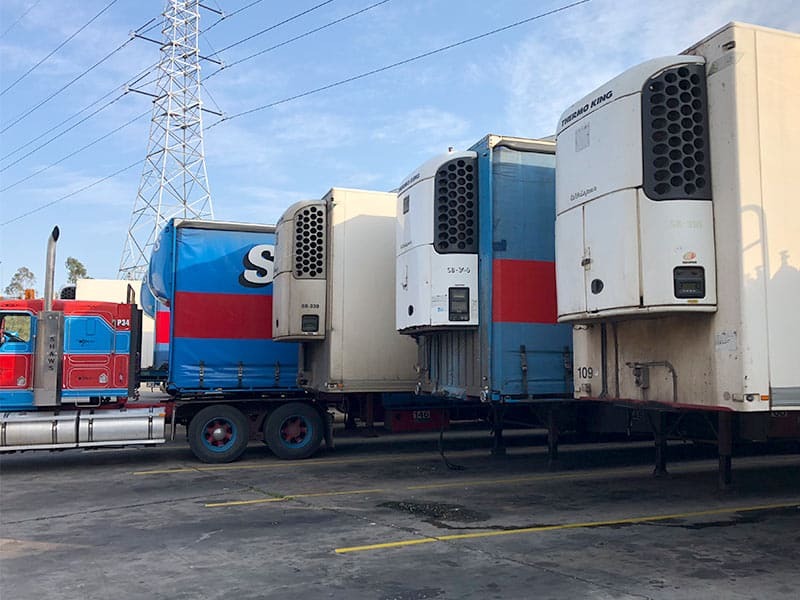 Whether you need to transport chilled, frozen or temperature controlled goods, Shaw’s Darwin have the right refrigerated transport solution to suit your business needs. Our interstate refrigerated transport services can help your business move cartons and pallets. Our dedicated staff will work with you and your business requirements, to ensure your temperature sensitive goods arrive safely and on-time. Our fleet of temperature controlled vehicles can deliver temperatures from ambient down to -25C based on customer requirements. We also offer our customers temperature monitoring capability. Request a refrigerated transport freight quote today. We own and operate our own equipment. At Shaw’s Darwin, you can feel confident knowing your refrigerated goods are handled by highly experienced and skilled staff, from door-to-door. Quality Assurance: Interstate refrigerated transport services with peace of mind. We pride ourselves on delivering high quality refrigerated transport services to our customers. At Shaw’s Darwin our dedicated staff follow stringent quality assurance practices to minimise risk and errors associated with shipments, damage to goods, delivery times, productivity and most importantly safety. We are a safe and compliant operation. In the unlikely event that minor loss or damage to goods occurs in transit, your goods are protected by our FreightSafe Warranty Programme.